Sulfonylureas are widely prescribed glucose-lowering medications for diabetes, but the extent to which they improve glycaemia is poorly documented. This systematic review evaluates how sulfonylurea treatment affects glycaemic control. Medline, EMBASE, the Cochrane Library and clinical trials registries were searched to identify double-blinded randomised controlled trials of fixed-dose sulfonylurea monotherapy or sulfonylurea added on to other glucose-lowering treatments. The primary outcome assessed was change in HbA1c, and secondary outcomes were adverse events, insulin dose and change in body weight. Thirty-one trials with a median duration of 16 weeks were included in the meta-analysis. Sulfonylurea monotherapy (nine trials) lowered HbA1c by 1.51% (17 mmol/mol) more than placebo (95% CI, 1.25, 1.78). Sulfonylureas added to oral diabetes treatment (four trials) lowered HbA1c by 1.62% (18 mmol/mol; 95% CI 1.0, 2.24) compared with the other treatment, and sulfonylurea added to insulin (17 trials) lowered HbA1c by 0.46% (6 mmol/mol; 95% CI 0.24, 0.69) and lowered insulin dose. Higher sulfonylurea doses did not reduce HbA1c more than lower doses. Sulfonylurea treatment resulted in more hypoglycaemic events (RR 2.41, 95% CI 1.41, 4.10) but did not significantly affect the number of other adverse events. Trial length, sulfonylurea type and duration of diabetes contributed to heterogeneity. Sulfonylurea monotherapy lowered HbA1c level more than previously reported, and we found no evidence that increasing sulfonylurea doses resulted in lower HbA1c. HbA1c is a surrogate endpoint, and we were unable to examine long-term endpoints in these predominately short-term trials, but sulfonylureas appear to be associated with an increased risk of hypoglycaemic events. The online version of this article (doi: 10.1007/s00125-013-2856-6) contains peer-reviewed but unedited supplementary material, which is available to authorised users. Sulfonylureas have long been established in the treatment of diabetes and were the first oral glucose-lowering medications to be introduced into clinical practice. They are still widely used and are the second-line recommended choice of oral glucose-lowering treatment after metformin in the UK . There are still a large number of people who are taking sulfonylureas, either as a first-line diabetes treatment or in combination with another diabetes medication, accounting for around 25% of newly initiated oral diabetes medications . Sulfonylureas act primarily by blocking ATP-sensitive potassium channels in the pancreatic beta cells, which stimulates insulin secretion . A consensus report produced jointly by American Diabetes Association and the European Association for the Study of Diabetes reported that sulfonylureas lowered HbA1c by 1.5% (corresponding to 16 mmol/mol) , but this was based on results from a single clinical trial . Moreover, these results are based on a single sulfonylurea in combination with metformin and therefore do not assess the effects of sulfonylurea monotherapy. More recently, a systematic review examined the effect of oral antidiabetic agents on HbA1c levels, although only six trials of sulfonylurea were included . This reported that sulfonylurea treatment reduced HbA1c by around 1% (corresponding to 11 mmol/mol). This systematic review included trials of sulfonylureas in which dose changes were permitted, and combined the results from trials of sulfonylurea monotherapy, and sulfonylureas used in combination with another oral medication or with insulin. In addition to this, several other systematic reviews have assessed the effect of sulfonylureas in combination with other medications on HbA1c level [7, 8, 9], and a meta-analysis examining the effect of baseline HbA1c on efficacy of glucose-lowering treatment . There has, however, been no systematic review that has separately examined the effects of sulfonylurea as monotherapy, as an add-on to oral therapy or as an add-on to insulin therapy. 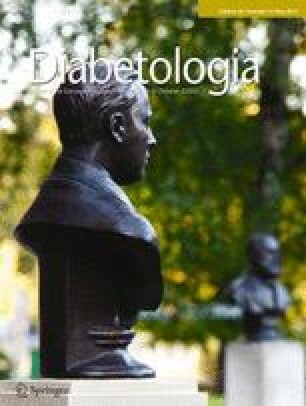 We therefore conducted a systematic review of randomised controlled trials to examine how much sulfonylurea treatment reduces HbA1c on its own as a monotherapy compared with placebo or added on to a background therapy compared with the background therapy alone in people with diabetes. We restricted our attention to fixed-dose sulfonylureas to better examine HbA1c lowering. In addition, the dose–effect relationship of sulfonylureas was examined in head-to-head trials of different sulfonylurea doses. The effect of sulfonylurea treatment on insulin dose requirement and the total number of adverse events and hypoglycaemic events in each treatment group were also compared. We searched three databases, Medline, Embase and the Cochrane Central Register of Controlled Trials, as well as two clinical trials registries—Clinicaltrials.gov and the EU Clinical Trials Register—up until 7 December 2012. We identify randomised controlled trials of at least 12 weeks’ duration with no language restrictions (details of the Medline search terms are given in the electronic supplementary material [ESM] Text). A protocol for the systematic review has not been published. Trials comparing fixed-dose sulfonylurea treatment administered either as monotherapy vs placebo, as an add-on to another fixed-dose oral glucose-lowering drug, or as an add-on to insulin treatment, as well as trials that compared two or more different doses of the same sulfonylurea, were included in the review. Hand-searching of reference lists of relevant articles were also conducted. Articles were reviewed by two reviewers. Inclusion criteria were as follows: trials had to include patients with diabetes, be randomised, be double-blinded, be at least 12 weeks in duration, have a fixed dose of sulfonylurea either as monotherapy, as an add-on to another oral glucose-lowering therapy or as an add-on to insulin therapy, have the same sulfonylurea and background oral therapy dose for each participant, and report participants’ HbA1c levels after baseline. Data were extracted in duplicate by two reviewers into structured forms. Extracted items included study characteristics, patient characteristics and outcome results. For sulfonylurea monotherapy and sulfonylurea added on to insulin, the primary outcome was the mean difference between the treatment and comparator group HbA1c levels at the end of the trial. After data extraction, we chose the mode of analysis to maximise the number of data directly available without imputation. For the analyses of the monotherapy and insulin trials, the majority of trials reported HbA1c change since baseline, and we selected this as the outcome for analysis, imputing it from endpoint data where necessary (one trial). For the analysis of oral combination trials, the majority of trials reported endpoint data, and we selected this for analysis, imputing it from change data where necessary (one trial). If SDs were not reported, they were imputed by averaging reported SDs from other trials in the same comparison. To check sensitivity to these approximations, we re-ran analyses excluding trials in which these were necessary and obtained broadly similar results (ESM Table 1). If median HbA1c instead of mean was reported, this was used as an approximation to mean HbA1c. All of the trials covered in this review reported HbA1c units as a percentage of total haemoglobin standardised to the methods of the DCCT. Results are therefore reported in DCCT units as a percentage and have been converted into the new SI units using International Federation of Clinical Chemistry and Laboratory Medicine units of millimoles per mole of haemoglobin. Other outcomes extracted and assessed in post hoc analyses were total number of adverse events, number of hypoglycaemic events, withdrawal due to adverse events, number of serious adverse events, change in insulin dose and change in body weight. Analysis was performed using a DerSimonian and Laird random effects meta-analysis in Stata version 11.1 (Stata Corporation, College Station, TX, USA), reporting the mean difference in HbA1c as the primary outcome. Secondary outcomes were insulin dose in trials of sulfonylurea and insulin, adverse events and change in body weight. Because insulin dose was reported both as international units of insulin and units per kilogram body weight, we converted to a standardised mean difference to allow all the trials to be combined. Adverse events data were pooled as RRs using the Mantel–Haenszel random effects model. Data from trials reporting the number of patients who experienced an adverse event were combined with data from trials reporting the total number of adverse events (potentially including multiple episodes for a single patient) in the meta-analysis. This was achieved by calculating the number of events per 10 patient-years for trials that reported results as the total number of adverse events. One paper  reported results from two trials that were identical in design but compared different doses of glipizide in each trial. Results for two doses (5 and 20 mg) were reported as combined mean and SE for both the trials. We included the results of these trials in the dose-comparison analysis and kept them as two separate trials as far as possible in the analysis. Heterogeneity was reported using the I 2 statistic . High heterogeneity was investigated by meta-regression using the “metareg” command in Stata. We explored in post-hoc analyses whether the heterogeneity could be explained by drug type, comparator type, age, BMI, duration of diabetes, length of follow-up, baseline HbA1c and year of trial publication. Because of a previous report of an association between baseline HbA1c and glucose lowering , we also plotted, as a post-hoc analysis, mean reduction in HbA1c during the trial against mean baseline HbA1c for the intervention group, for the control group, and for the difference between the intervention and control groups. To address possible publication bias, we used Egger’s test for funnel plot asymmetry  wherever possible (including at least 10 trials in the analysis). We also conducted sensitivity analyses excluding smaller trials (fewer than 100 participants) where possible (ESM Fig. 1). We considered trial quality using the headings of the Cochrane Risk of Bias tool  as follows. For random sequence generation and allocation concealment, we included only randomised trials, and we report the extent of detail on randomisation given by the trials included. For blinding, we include only studies that stated they were double-blinded, which we presumed to imply blinding of outcome assessors as well as blinding of patients. To address possible attrition bias, we conducted sensitivity analyses to exclude trials in which fewer than 75% of participants completed the trial. Risk of bias due to selective reporting is difficult to quantify, but we consider in the Discussion how it may affect our study. Searches retrieved a total of 4,308 articles, of which 31 trials were included in the final analysis (Fig. 1). Searches of clinical trials registers retrieved a total of 127 trials, from which no additional trials were identified for inclusion. All the included trials reported that they randomised patients to treatments, but only five reported the method of randomisation. One identified trial of glipizide added on to human proinsulin  was not included in the systematic review because human proinsulin is not a recognised diabetes treatment despite meeting all other inclusion criteria. Details of the trials included are shown in Table 1; trials varied in length from 12 weeks to 3 years, mean patient age varied from 34 to 66.5 years, and mean baseline HbA1c varied from 4.6% (corresponding to 26.8 mmol/mol) to 13.6% (corresponding to 125.1 mmol/mol). Of these, nine trials were included in the analysis of sulfonylurea monotherapy vs placebo, four trials of sulfonylurea as add-on to another oral treatment, 17 trials of sulfonylurea in combination with insulin compared to insulin alone, and four trials in the dose-comparison analysis. Two of the nine trials (representing 1,151 participants) of sulfonylurea monotherapy had multiple arms with different doses, which resulted in 12 comparisons. When the data were pooled, the HbA1c level was 1.51% lower (corresponding to 16 mmol/mol) in the sulfonylurea group compared with the placebo group (95% CI 1.25, 1.78, I 2 = 59.8%; Fig. 2). Sensitivity analyses in which five smaller trials (fewer than 100 participants) were excluded obtained similar results (ESM Table 1). We investigated sources of heterogeneity in these trials and found that the mean age of the participants explained all of the heterogeneity. Four trials (representing 1,381 participants) were included in the meta-analysis of sulfonylurea added on to oral medication. When the data were pooled, HbA1c was 1.62% lower (95% CI 1.00, 2.24; I 2 = 94.1%), corresponding to 18 mmol/mol, in the sulfonylurea group than in the comparator group (Fig. 3). Because of very high heterogeneity between these trials, meta-regression was carried out to see whether the heterogeneity could be explained by other variables. Trial duration was found to reduce the I 2 statistic to 47%, and no other factor reduced the I 2 by more than 10%. A sensitivity analysis that excluded one trial of three arms  in which fewer than 75% of participants completed the trial resulted in a smaller effect size, with HbA1c 0.96% lower (95% CI 0.47, 1.45) corresponding to 11 mmol/mol in the sulfonylurea-treated groups than in the comparator groups. Egger’s test found borderline evidence for publication bias across all 12 monotherapy and oral combination therapy trials (p = 0.052), as shown in ESM Fig. 1. Seventeen trials (representing 513 participants) of sulfonylurea as an add-on to insulin were included in the meta-analysis (Fig. 4). HbA1c level was significantly lower in sulfonylurea groups compared with placebo in combination with insulin (0.46% lower; 95% CI 0.24, 0.69, corresponding to 6 mmol/mol; I 2 = 43.6%). In meta-regression, adjusting for type of sulfonylurea and duration of diabetes reduced the heterogeneity (I 2 = 0.0%). Only one trial had more than 100 participants (effect size 0.1%, 95% CI −0.21, 0.41%). Egger’s test found no evidence for publication bias across the insulin combination therapy trials (p = 0.29), as shown in ESM Fig. 1. Thirteen of the 17 sulfonylurea and insulin trials reported the insulin dose. The dose of insulin required at the end of the trial was significantly lower in the sulfonylurea arm, by 0.55 SD (95% CI 0.25, 0.84), than in the comparator arm across all trials (ESM Fig. 2). In trials of type 2 diabetes, the insulin doses in the sulfonylurea-treated group were significantly lower, by 0.70 SD (95% CI 0.37, 1.02), compared with insulin-only arm. Insulin dose in four trials of 345 patients with type 1 diabetes did not significantly differ between the treatment and comparator arms (standard mean difference −0.16, 95% CI −0.57, 0.25). Four trials that conducted a head-to-head analysis of at least two different sulfonylurea doses were included in the dose-comparison meta-analysis. Each of the trials included in the analysis included three or more different sulfonylurea doses, resulting in nine comparisons (911 participants). Pooling of the results (Fig. 5) found no statistically significant evidence that higher doses of sulfonylurea reduce HbA1c more than lower doses (pooled mean difference 0.05, 95% CI −0.17, 0.26). Some trials used doses of sulfonylurea that would be considered high in both arms (according to the British National Formulary ). We therefore conducted a sensitivity analysis excluding these trials and obtained similar results: mean difference for glimepiride 0.35 (95% CI −0.05, 0.75), and for glipizide −0.10 (CI −0.58, 0.39). Figure 6 shows the adverse events, serious adverse events and hypoglycaemic events as reported by the trials. Seven trials reported the total number of adverse events, or the number of patients who experienced an adverse event. Adverse events were defined as any event that occurred after the initiation of treatment. There was no significant difference in the number of adverse events in the sulfonylurea-treated group compared with the comparator groups (RR 1.10, 95% CI 0.94, 1.29), and a non-significant increase in the number of serious adverse events (reported in five trials) in the sulfonylurea-treated groups (RR 1.66, 95% CI 0.78, 3.50). Ten trials reported the number of mild-to-moderate hypoglycaemic episodes (defined as either patient-reported symptoms or blood glucose levels below a threshold of 3.1–3.3 mmol/l [55–60 mg/dl] for two trials), and there were significantly more events in the sulfonylurea-treated group than in the comparator groups (RR 2.41, 95% CI 1.41, 4.10). None of the trials reported any severe hypoglycaemic events requiring third-party assistance. There was no significant difference in the number of patients who withdrew from the trials due to adverse events (reported in eight trials) between the sulfonylurea-treated and comparator arms (RR 0.88, 95% CI 0.56, 1.38; data not shown). Twelve trials reported a change in body weight over the course of the trial. Pooling the results gave a mean increase in weight of 2.31 kg (95% CI 1.31, 3.32) in the sulfonylurea-treated groups compared with comparator groups (results not shown). To explore how baseline HbA1c levels could be associated with the change in HbA1c, we plotted effect size against the mean baseline HbA1c for each trial (Fig. 7). Although the reduction in HbA1c in the intervention group appeared to be greater in trials with a higher mean baseline HbA1c, a similar pattern was seen within the control groups. The difference in HbA1c reduction between the intervention and control group did not appear to be related to mean baseline HbA1c. This systematic review of double-blinded, randomised controlled trials found that sulfonylurea monotherapy reduced HbA1c by an average of 1.5% (16 mmol/mol), and sulfonylurea in combination other oral medications reduced HbA1c by 1.6% (18 mmol/mol) compared with placebo groups. Sulfonylurea treatment in combination with insulin resulted in a smaller reduction in HbA1c, with the greatest reductions seen in trials of glibenclamide (HbA1c 0.6% or 7 mmol/mol lower), than insulin treatment alone and resulted in use of a lower insulin dose for these patients, consistent with other reports . In our analysis of dose-comparison trials for two sulfonylurea drugs, glimepiride and glipizide, we were unable to demonstrate that higher doses significantly lowered HbA1c more than lower doses. We found no evidence that sulfonylurea treatment resulted in an increase in the total number of adverse events, but we did find that it increased the number of hypoglycaemic events. More trials have been identified in this review than in any previous systematic review, which can be partly explained by broader inclusion criteria: we included trials of all sizes in our review, did not restrict the review to English-language papers and included patients with type 1 diabetes. We specifically included trials in which the sulfonylurea dose was kept constant, which has allowed us to examine the dose–effect relationship; this is the first time head-to-head dose comparison trials have been combined in a meta-analysis. The reduction in HbA1c from sulfonylurea treatment found in this review is greater than the effect size observed in another systematic review  and within the range suggested in an American Diabetes Association consensus report . Of six trials included in the previous systematic review , only two of these were eligible for inclusion in our review [5, 18] because of protocol-permitted sulfonylurea dose changes in the other four trials. Newer agents for blood glucose control have been shown in a recent review to reduce HbA1c by up to 1% . Our results suggest that sulfonylureas are at least as effective as these newer agents in lowering HbA1c; in addition to this, they are less expensive . We have found that sulfonylurea treatment may result in more hypoglycaemic episodes and an increase in body weight; this is consistent with known effects of these medications [20, 21]. We observed no relationship between effect size and baseline HbA1c when examining the difference between the reduction in the active treatment and control groups in the trials (Fig. 7c). Although the reduction within the trial intervention arms was greater for those trials with a higher baseline HbA1c we also observed a reduction in the trial control arms, perhaps attributable to regression to the mean . A previous systematic review that found an association between response and baseline HbA1c  considered only trial arms that involved an active glucose-lowering therapy. This review has several limitations. First, many of the trials included were relatively small (fewer than 100 participants), which may have led to publication bias, particularly in the insulin trials. Second, we observed moderate heterogeneity in the monotherapy and insulin trials (I 2 approximately 40%), and heterogeneity was high (I 2 > 90%) in the oral combination trials. Meta-regression suggests that this may be largely attributable to a differing trial duration, with greater HbA1c lowering in shorter trials, but meta-regression results can be subject to confounding and should not be overinterpreted. Third, our analysis is of glycaemic control rather than hard outcomes, although our marker of glycaemia, HbA1c, has a well-recognised association with at least the microvascular complications of diabetes. Finally, follow-up times for the trials included were short: only six trials followed up patients for longer than 6 months and one trial for longer than a year , meaning that we have only been able to assess short-term outcomes. Furthermore, the trials identified for inclusion in this review were relatively old, only three trials having been published in the past decade [18, 24, 25]. This reflects the fact that sulfonylureas are established in the treatment of diabetes. We have been unable to demonstrate a dose-comparison effect, but this result needs to be interpreted with caution as our analysis only included four trials with two different sulfonylureas; there may be a therapeutic range within which an increase in dose does further reduce the HbA1c, which was not possible to examine in this review. Our review has focused on changes in glycaemic control and short-term adverse events, and therefore cannot contribute to the debate about the possible advantages of newer sulfonylureas  over the sulfonylureas used in earlier trials, for which the findings of University Group Program  and the United Kingdom Prospective Diabetes Study  have suggested an association with adverse effects. Instead, we have sought to quantify the glycaemic lowering of sulfonylureas in order to provide a context for understanding similar reviews of newer oral glucose-lowering agents. Many of the trials were of short duration, which may be because we only included trials of a fixed dose of sulfonylurea. This has enabled us to undertake a dose-comparison analysis and to interpret each trial as the effect for dosage used. We restricted inclusion to trials of fixed-dose sulfonylurea, which facilitated interpretation including a dose-comparison analysis; however, the rates of hypoglycaemia in trials using fixed-dose protocols may not be typical of rates in clinical practice, in which doses can be adjusted over time. Because of the short trial duration, we are unable to comment on the expected duration of effect of sulfonylurea treatment . We have included only double-blinded randomised controlled trials in our review to minimise bias, although most of the trials included did not report details of the method of randomisation or allocation concealment. Exclusion of a single trial with a high attrition rate  from the oral combination trials resulted in a reduced effect size from 1.6% to 1% lower HbA1c in the treatment group. The exact size of the effect estimate in this group therefore needs to be interpreted with caution. We could not find any evidence for reporting bias for the primary outcome, HbA1c. However reporting of adverse events between trials was inconsistent, so these results may potentially be affected by reporting bias . We have demonstrated in this review that prescribing sulfonylureas either alone or added on to another oral medication will effectively reduce HbA1c by around 1.5%, but we found no evidence that higher sulfonylurea doses result in a further reduction in HbA1c, although this may be an effect of the dose ranges used in the trials. The effect of sulfonylurea treatment on patients already taking insulin is more modest, although treatment does result in a significant reduction in both HbA1c and insulin dose. As there is no evidence for increased effectiveness at higher doses, and as sulfonylureas are associated with adverse events such as hypoglycaemic episodes, low-dose sulfonylureas may be preferred in many cases without titration to maximal dose. Thanks go to C. Bankhead, University of Oxford for assisting where there were discrepancies in inclusion criteria. The views expressed by the authors may not necessarily reflect the views or policies of the National Institute for Health Research School. This research was funded by NHS Diabetes. AJF receives support from the Oxford NIHR Biomedical Research Centre. JAH contributed to the design, analysis and interpretation of the data, drafted the article, undertook revisions and approved the final version. AJF contributed to the conception, design, analysis and interpretation of the data, critical revision of article, clinical input and final approval. AD contributed to the design and analysis of the data, critical revision and final approval. TWCL contributed to analysis of the data, critical revision and final approval. RJS contributed to the conception, design, analysis and interpretation of the data, critical revision and final approval of article.